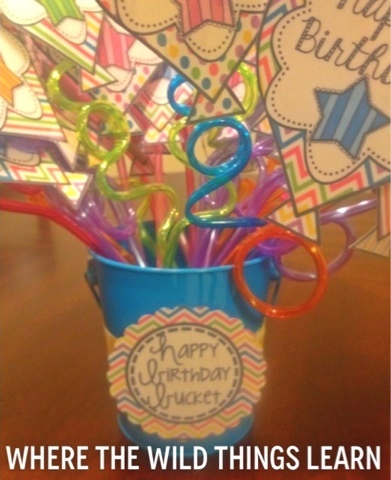 Gettin' Crafty for Monday Made it with a FREEBIE! #1 We spray painted them lime green (they look yellow in the picture but are much more green in person!) and spray painted some stars yellow. We used my cricut to cut out the letters and laminate them, and made a cute bow with some ribbon and poms! We made "1st" and "Last" letters to put on the star and use velcro dots to attach them. 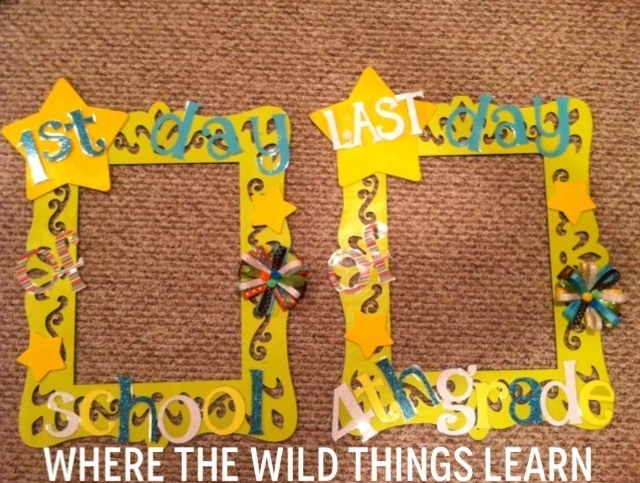 This way we can change it out for the first and last day of school photo! 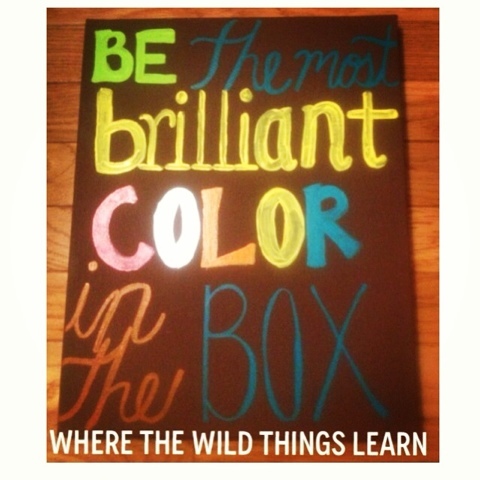 #2 We also saw this real cute canvas art at Hobby Lobby and thought... we can make that! So we did! 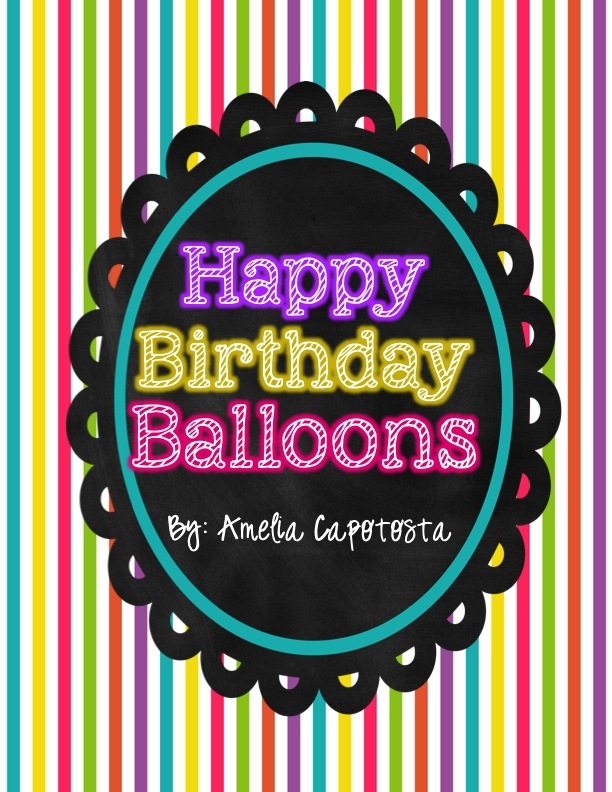 If you like these, you can pick up the balloons and tag for free at my TPT store! 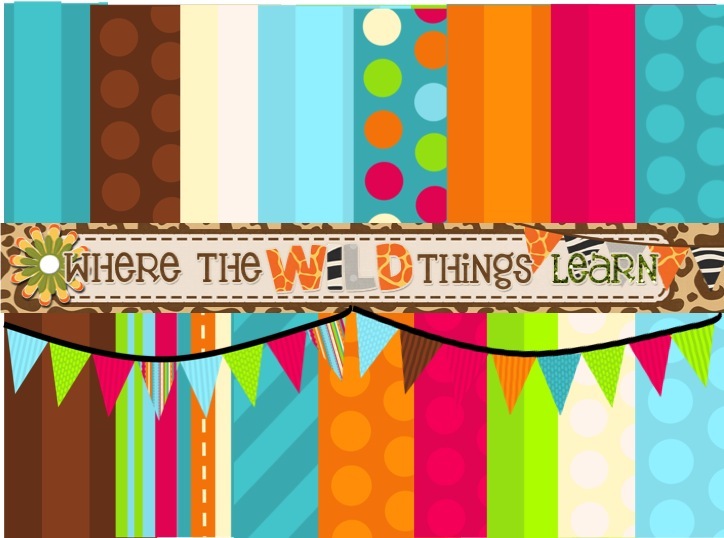 I made them in 6 different color options, too :) Just click here to head on over and download!! #4 I wanted to add a little more pop of color and love to my reading nook this year, so I had to make a cute READ sign, of course! I picked up two 2 packs of 8x10 canvases from Hobby Lobby and set to work having fun painting them! I used lime green, yellow, and blue to go with my room theme! I can't wait to see them hanging on the wall. 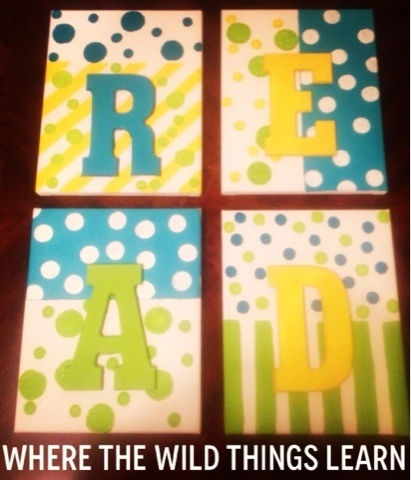 #5 I have been loving making these Classroom Decor Packs, and my good friend Caity wanted one to match her Dots on Turquoise classroom theme. Of course I couldn't refuse my best crafting buddy, so I set to work! First, I made these papers to create the pack! There are 17 papers and 2 bunting banners in all! If you use these colors or the Dots on Turquoise set in your room, these are perfect for anything else you want to create to add to it. 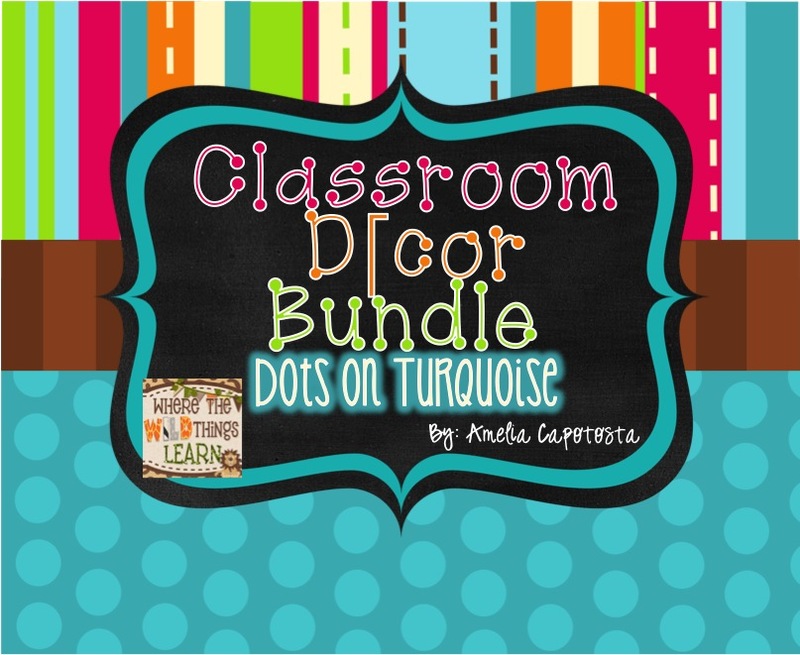 #6 After I made the papers and banners, I set to work on a Dots on Turquoise Classroom Decor MEGA Pack. 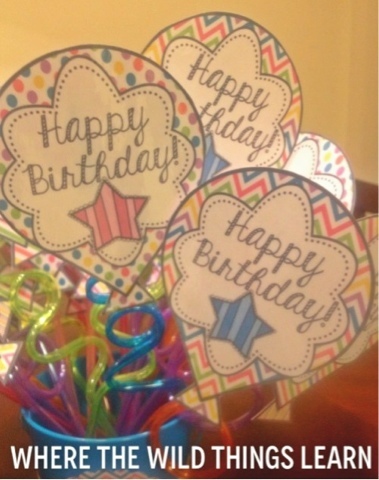 There are 208 pages of goodies in this pack including nameplates, bunting banners, library bin labels, number labels, Team Cards, a calendar set, Color Behavior Chart, Daily 5 signs, and so much more! Click here to head on over to my store to pick it up! Now before you leave, don't forget to take the poll to name my new linky party. I plan on starting it the first week of September and can't wait to have everyone's thoughts and ideas all in one spot :) It will be a KWL for bloggers where we will share what we know, want to know, and have learned from other teachers on a topic each week; a great place to store everyone's wonderful ideas! 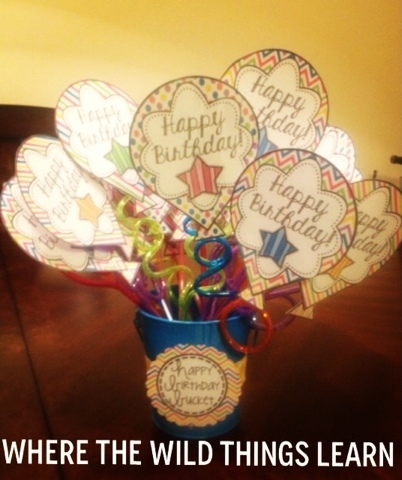 Amelia, I love your birthday balloons! SUPER cute!!! I saw them on a different blogger's post and the link was wrong. I am so glad you posted about them. Thank you for sharing all your talents with us. You are so sweet. Thank you!! I was so excited to make them :) Glad you get to use them! Awe, thanks so much!! 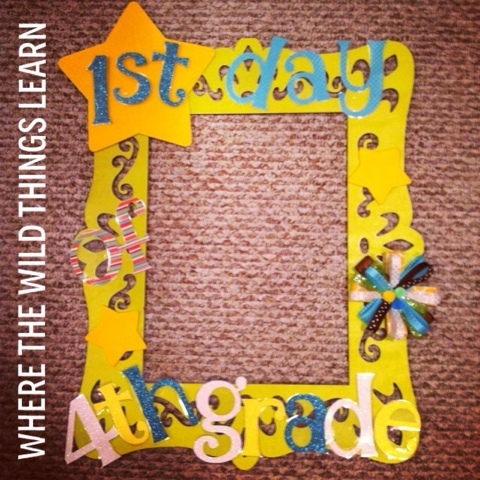 I can't wait to use the frame and put the READ sign up! My burn is slowly recovering.. I may not have fingerprints anymore though ;) haha! 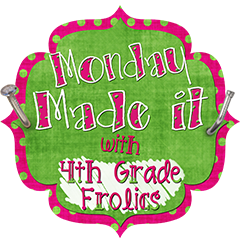 I love all your craftiness this week! Super cute! Those frames are so fun!! Thanks girl! :) I can't wait to see my little fourthies faces in them! I love that quote! Doesn't Hobby Lobby have some great stuff right now? Good job on replicating it! Isn't it such a great quote?! They sure do! I love your READ signs! I think I am going to have to try and make something similar. Thanks for sharing! So many great projects! I love how you did your READ signs! Love how the canvas art turned out too! I love your Read sign and your digital papers!